I love any excuse to have some friends and family over, hover around the television and host a potluck or a party – so obviously I am planning something fun for Sunday’s Oscars! But snacking doesn’t have to be mindless, and it doesn’t have to break your calorie bank, either! These suggestions below are what I will be having at my Academy Awards party – and I promise they are winners! 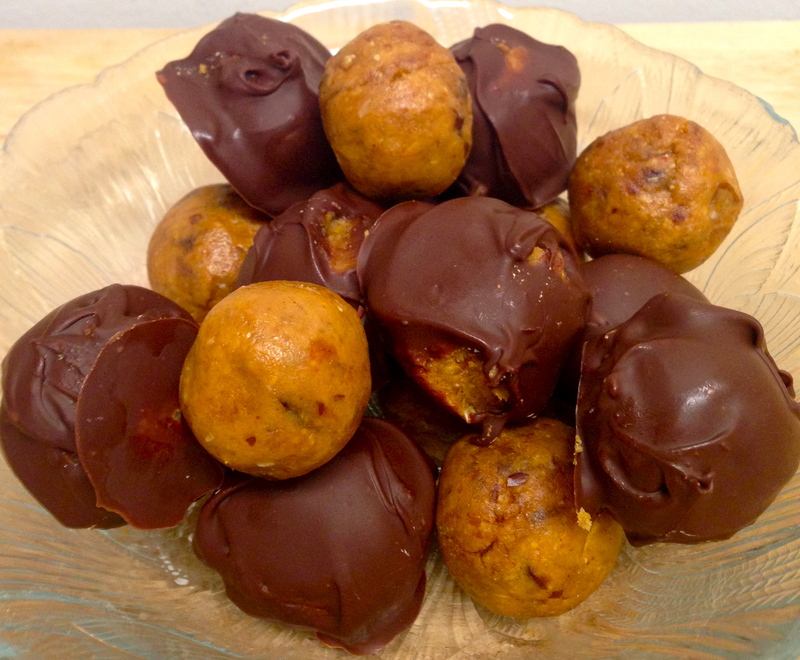 These peanut butter balls taste like a rich dessert, but offer up filling fiber and protein, with minimal sugar! Also, they only take about 10 minutes to make from start to finish (plus some time to chill in the fridge). I love to keep these around and throw them in a bag for the day or snack on them at night when I want something sweet, and they stay in the fridge for about a week, or in the freezer for longer. 2. 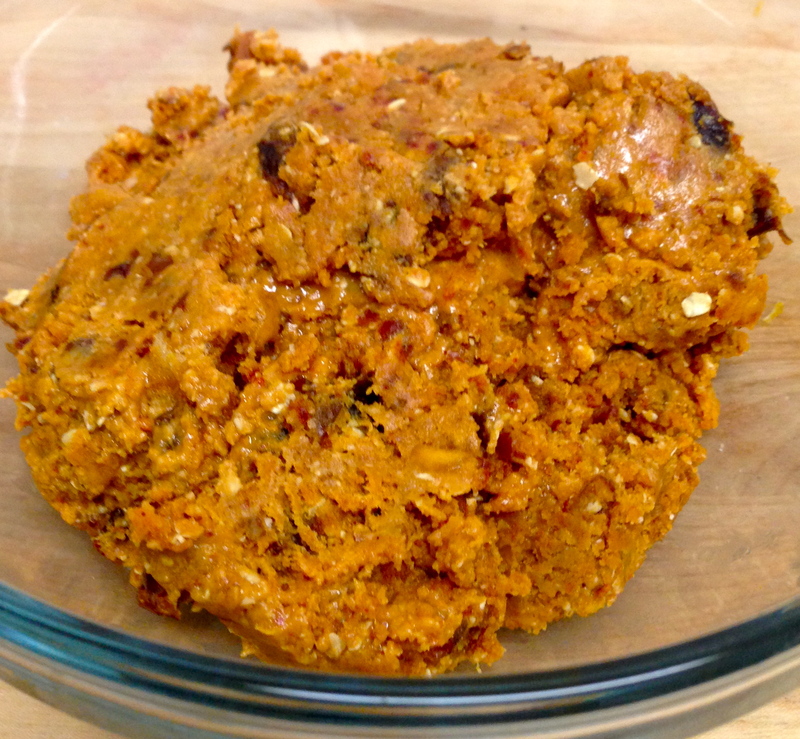 Chop dates into small pieces and place in food processor or blender (I used my Magic Bullet). 3. Add peanut butter and oats. Blend until batter is course and ingredients are well incorporated. 4. Cover a baking sheet with parchment paper or aluminum foil. Take a small spoon and scoop small portions of batter into your hands, forming small balls that measure approximately 1″ in diameter. 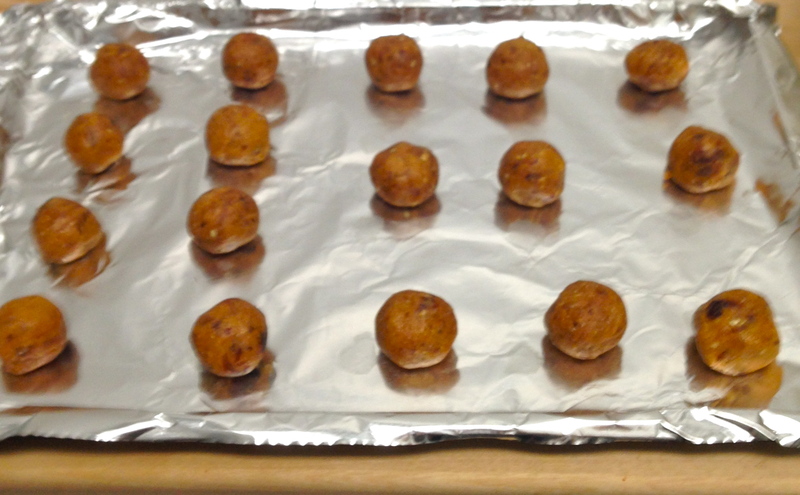 Place each peanut butter ball on baking sheet and form rows of 3 or 4. Place baking sheet in fridge or freezer. *If you don’t want to make these chocolate covered, you are done after this step! I like to make about half chocolate covered and leave half plain, so continue if you plan to dip these in chocolate! 5. Melt chocolate chips. I prefer to use a double boiler (bring a small amount of water to a boil in a pot and cover with a large bowl. Add chocolate to bowl once water is boiling and allow the steam from the boiling water to melt the chocolate, stirring until chocolate is smooth). You can also melt the chocolate in the microwave, but this often results in burnt patches. Place the chocolate in the microwave for short time segments if you prefer this method, and stir the chocolate often. 6. 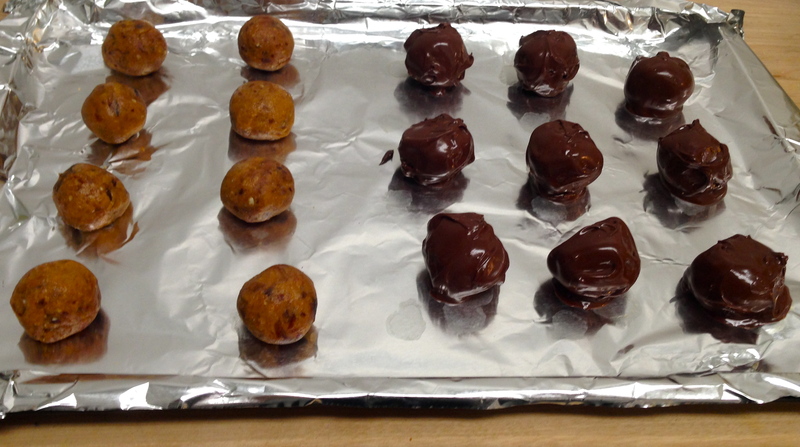 Take peanut butter balls from the fridge (they should be somewhat cool and solidified) and, using one at a time, roll each ball in the chocolate mixture, using a small spoon. Scoop ball up with spoon after it is coated and place back on baking sheet. Repeat for as many as you’d like dipped in chocolate! 7. Place in refrigerator to cool. They can be kept there overnight (or longer) or you can make these about an hour or two before your guests arrive (or you want to start eating them!) and take them out to serve once they are cooled. Enjoy! 1/2 chocolate dipped, 1/2 plain pb balls! This popcorn is the easiest recipe you will ever make, and it is such a hit at parties! Also, popcorn is a whole grain and is a great, whole-food choice over snacks like cookies and chips! 1. Microwave popcorn according to directions on box or bag. Remove popcorn from microwave and open bag to let steam escape and popcorn cool. place popcorn in large bowl. 2. Melt chocolate chips using double boiler method (listed above in step 4 of ‘No Bake Peanut Butter Balls’ recipe). 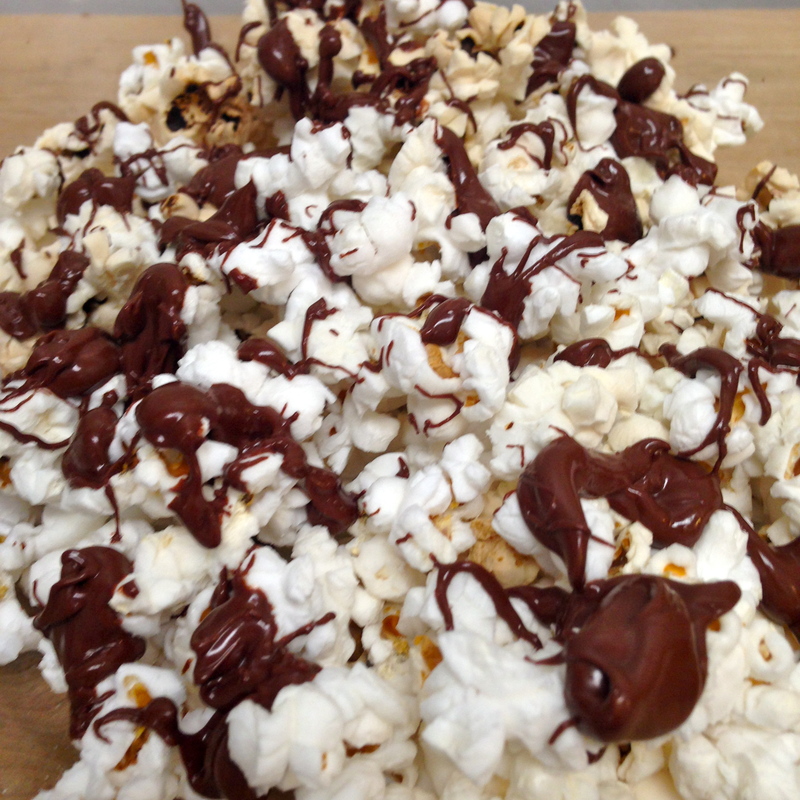 Drizzle chocolate over popcorn by dipping a spoon or knife into the melted chocolate and gently flicking it over the popcorn. 3. If using unsalted or very lightly salted popcorn, top with salt. Set aside (or place in fridge for about 15-20 minutes), until chocolate has solidified and cooled. Serve at room temperature. This savory popcorn is a good alternative to sweets – and you can snack on handfuls for minimal calories and fat! 1. Combine all spices in small bowl and mix well. 2. Microwave popcorn according to directions on box or bag. 3. 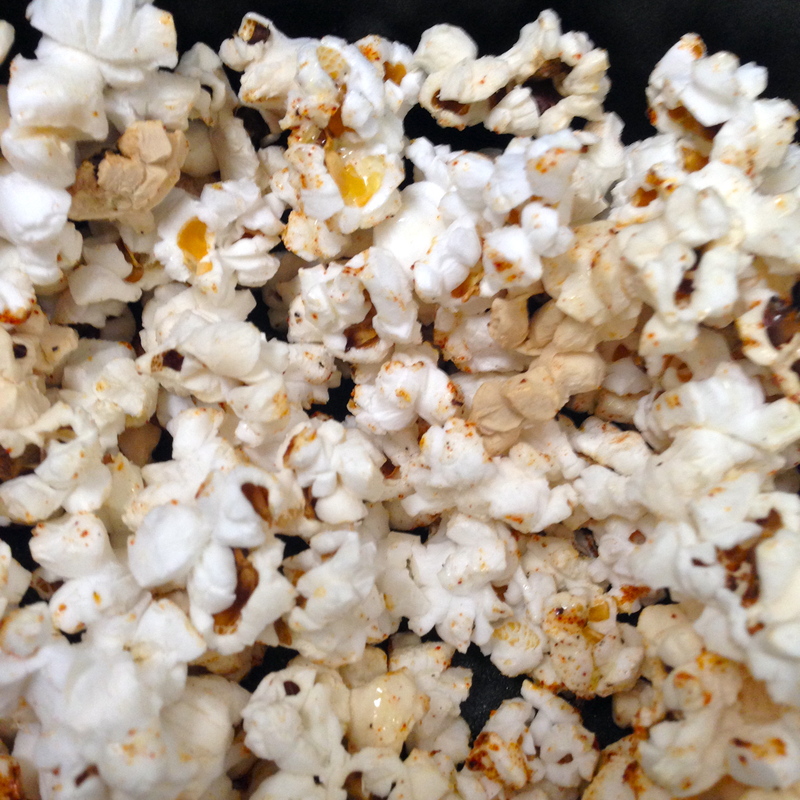 Once popcorn is all popped (and while it is still hot) open the bag drizzle oil over popcorn and mix with a spoon. 4. Slowly pour spices over the popcorn so that spices are evenly distributed. Mix well with spoon. Serve hot or at room temperature! 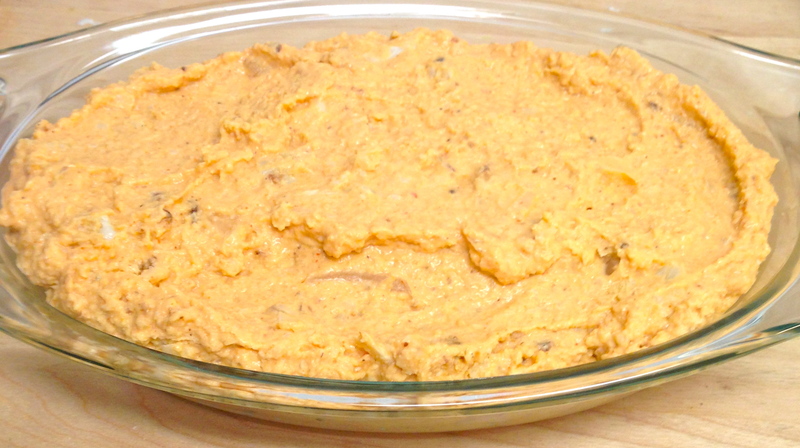 If you wanted other savory ideas, my dips are also great for entertaining! 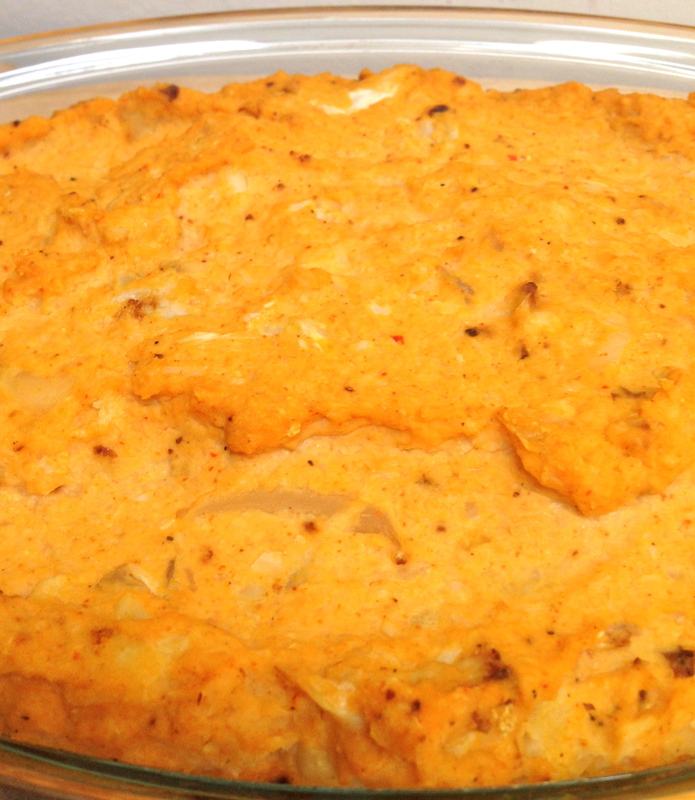 Find my buffalo-style cauliflower dip recipe HERE, my skinny spinach artichoke dip recipe HERE, and my guacamole recipe HERE! Also, veggies and pita with hummus is always a crowd-pleaser. Still craving something sweet? A fruit platter may just do the trick, without too much prep time (and without busting through the calorie budget)! Looking forward to a night of fun, family, friends and food and fashion! This soup is a winter favorite of mine! 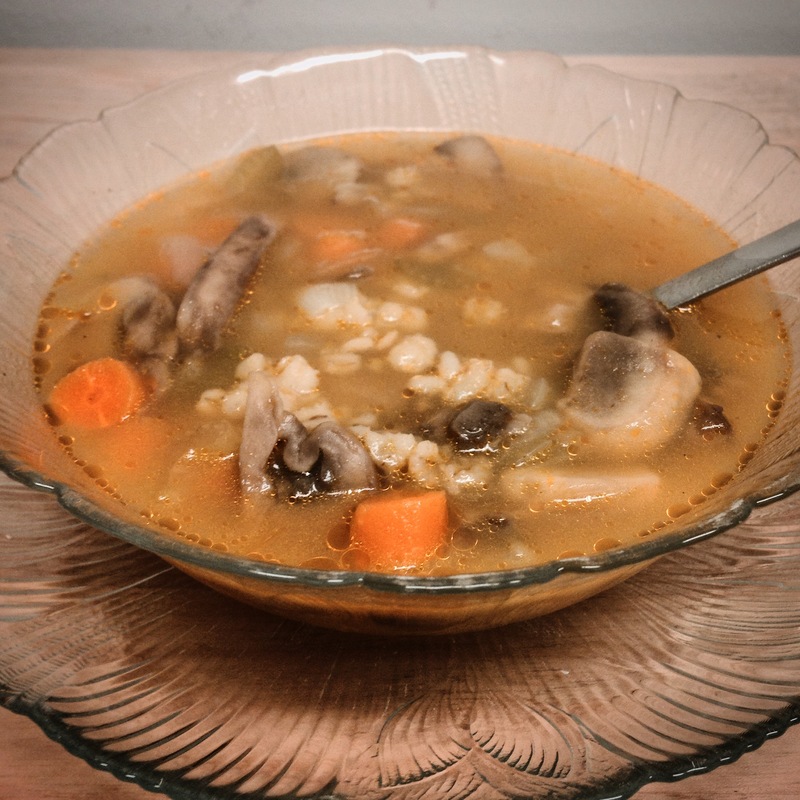 The barley adds a hearty taste and texture to the warming vegetable soup, plus it’s packed with nutrients like fiber from the barley and vegetables, beta-carotene (which our body converts to vitamin A) from the carrots and B-complex vitamins from mushrooms. I usually make a large pot of this soup early in the week and eat a bowl every day with lunch or dinner (or sometimes both)! Perfectly portable for work and perfectly nutritious, this homemade soup is a must-try for cold winter days! 1. Melt butter in a large pot. Add onions and mushrooms and sauté until slightly browned and softened, stirring occasionally (approximately 10 minutes). 2. Add carrots and celery. Add liquid (water and vegetable broth). Add spices. Bring to a boil and cook for approximately 15 minutes, until vegetables are softened. 3.Add barley and boil for another 10 minutes. 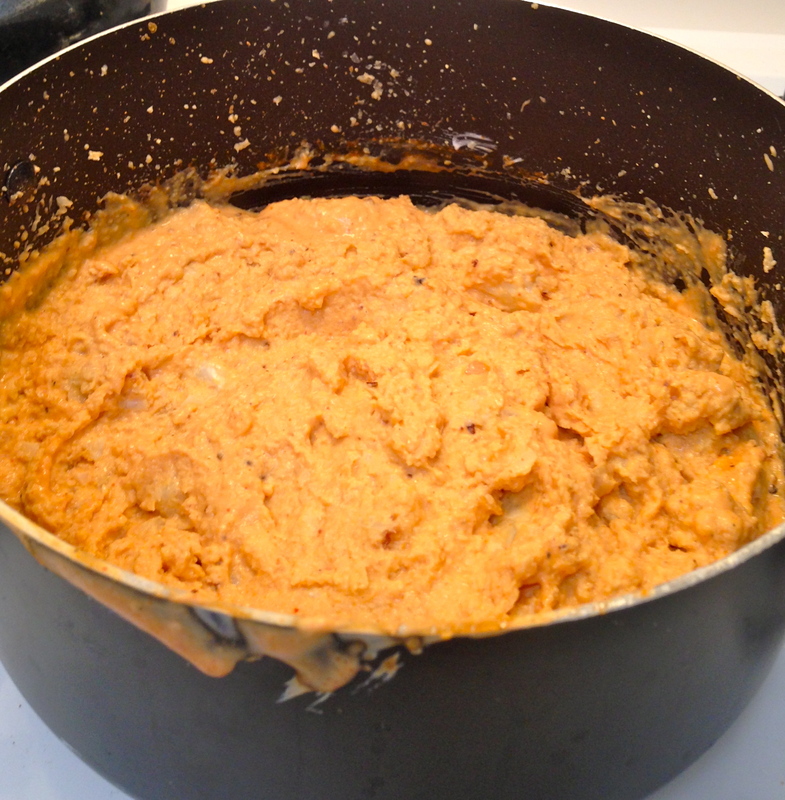 Cover and reduce to a simmer for about 1 hour, stirring occasionally. Serve and enjoy! *I love to make this soup for the entire week. If you still have leftovers at the end of the week, just store in single or double serving, airtight containers in the freezer! May require serious stove clean-up, but so worth it! 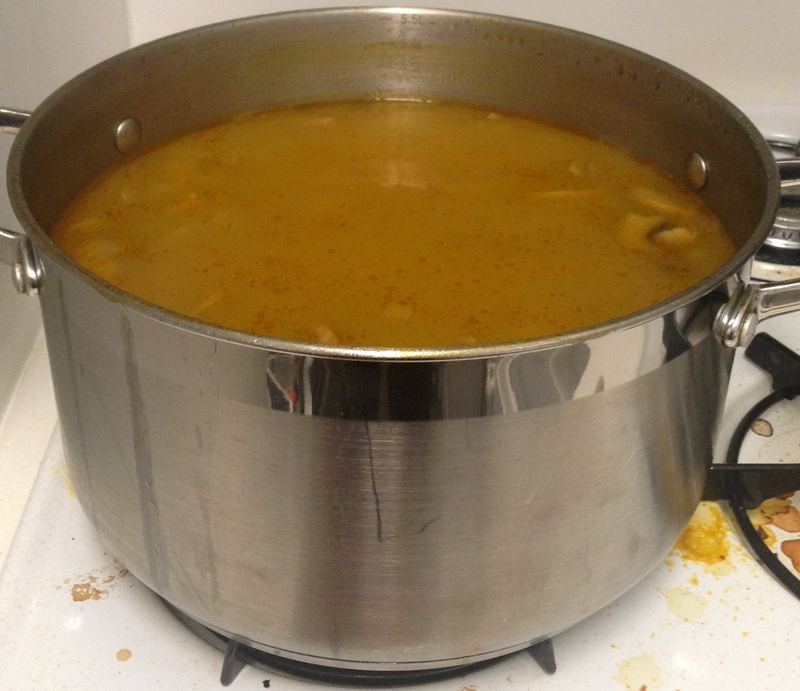 My pot wasn’t large enough and some boiled over…live and learn! This winter squash is a great alternative to pasta for those who are looking for a more nutritious bowl! With less than 200 calories per serving and packed with fiber and antioxidants like beta carotene (which our bodies convert to vitamin A) and vitamin C, this dish is filled with good nutrition and satisfies a carb craving for the starchy stuff! 1 C tomato sauce (I like 365 brand tomato and basil pasta sauce from Whole Foods), or feel free to make your own! Now just turn the squash face down and bake in the oven! 2. Spray baking pan with nonstick vegetable oil cooking spray. 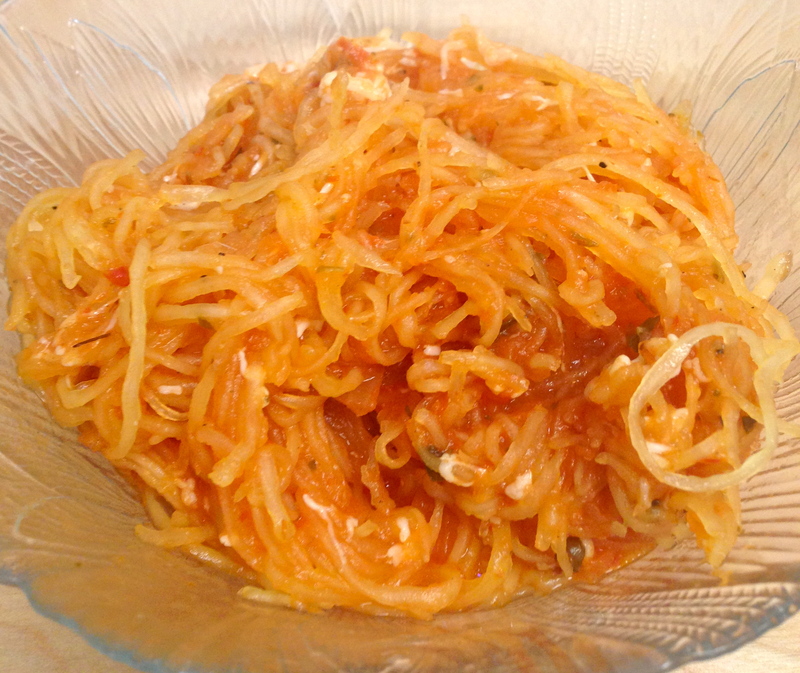 Cut spaghetti squash in half, lengthwise. Remove pulp and seeds with a spoon. Pour oil in your palms (make sure they are clean!) and rub hands together so that oil coats your hands. Next, rub the oil on the spaghetti squash. Sprinkle dash of salt and pepper on top of squash and turn squash over (face down). 3. 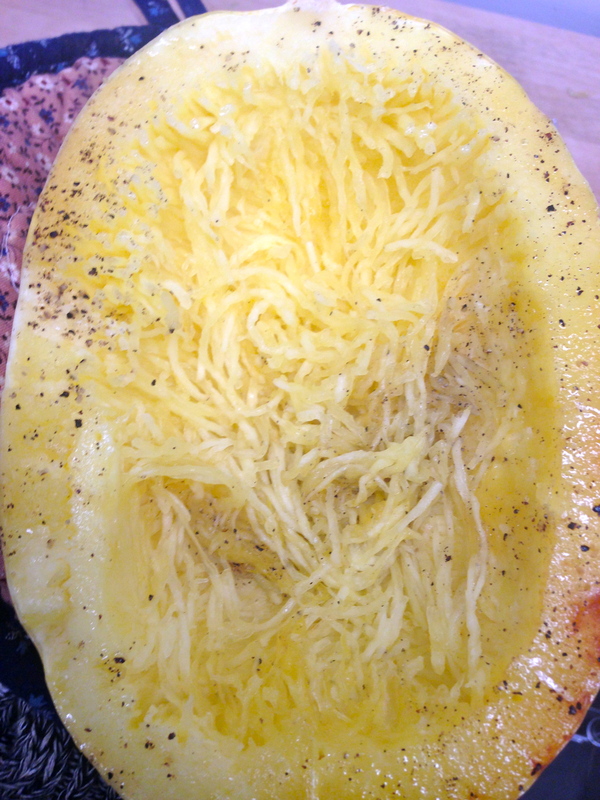 Bake spaghetti squash for 25-35 minutes. When the squash is cooked, you will be able to pull the “spaghetti” strands with a fork, but it will be able to hold its form. Continue to do this until all of the squash is out of the skin (I like to pull the strands into a large bowl). Once all squash is in the bowl, pour sauce over squash and stir. Top with cheese. You may need to heat the squash in the microwave for a minute to warm the sauce. Serve and enjoy! 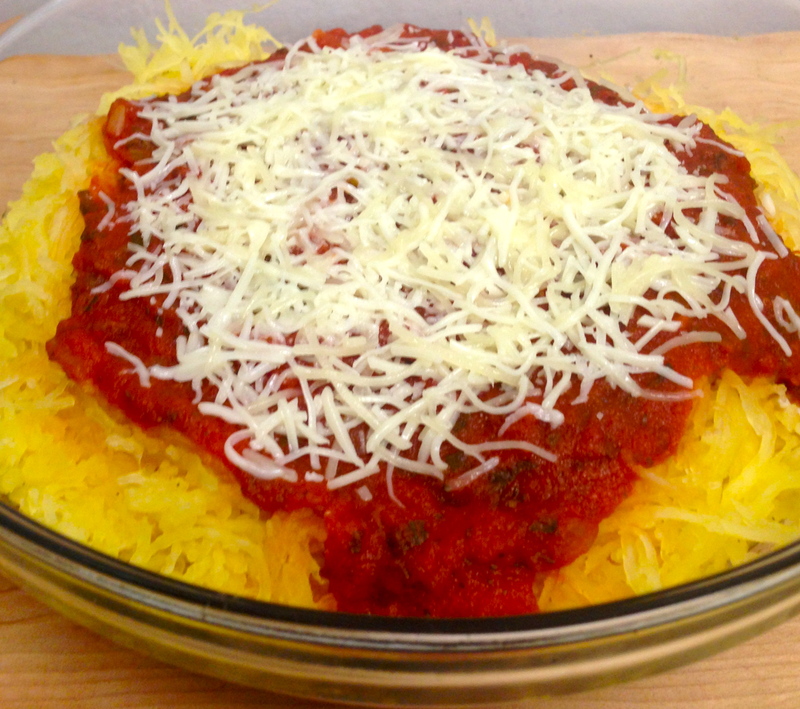 This is how the spaghetti squash should pull apart with a fork – it forms ‘spaghetti’! Now just stir together and serve!